The strength of Brisbane Girls Grammar School lies in the quality of its staff. The School seeks to recruit, develop and engage outstanding people who are expert educators, exhibit the highest levels of professionalism and are deeply committed to ensuring exceptional outcomes for our students. The School’s Senior Leadership Team is responsible for the delivery of the broad, liberal education for which Girls Grammar is renowned. Ms Jacinda Euler is a strong advocate for the broad, liberal education offered by Girls Grammar, and possesses a deep and authentic understanding of girls’ education. Ms Euler is passionate about educating the next generation of young women, inspiring them to be adventurous, maintain an open-minded approach to life and value the power of their education to build a more just world. Ms Euler’s career began in advertising, first in San Francisco and then in Sydney and London, before she returned to Australia to study education. Ms Euler holds a Bachelor of Arts (Cold War History and Literature) and a Master’s Degree in Education Studies. 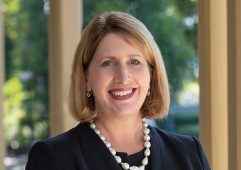 An experienced educator, Ms Euler previously taught at Girls Grammar (2000 to 2007), held positions in Sydney as Head of Middle School at Pymble Ladies College and Deputy Principal at Redlands and returned to Girls Grammar as Principal in 2013. 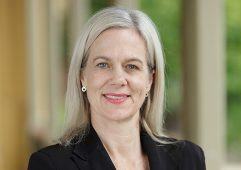 Mrs Anne Ingram is Deputy Principal at Brisbane Girls Grammar School, where she has worked for more than 20 years. Mrs Ingram commenced at the School as a Science teacher, before she pursued her passion for student care through the role of Head of House. Mrs Ingram was then appointed Dean of Students, before progressing to the position of Deputy Principal (Students) in 2017. 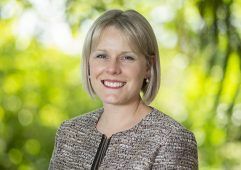 In January 2019, Mrs Ingram was appointed Deputy Principal. Mrs Ingram is passionate about ensuring students are equipped to embrace the challenges of the future with a spirit of optimism, and become thoughtful, resilient and confident young women. 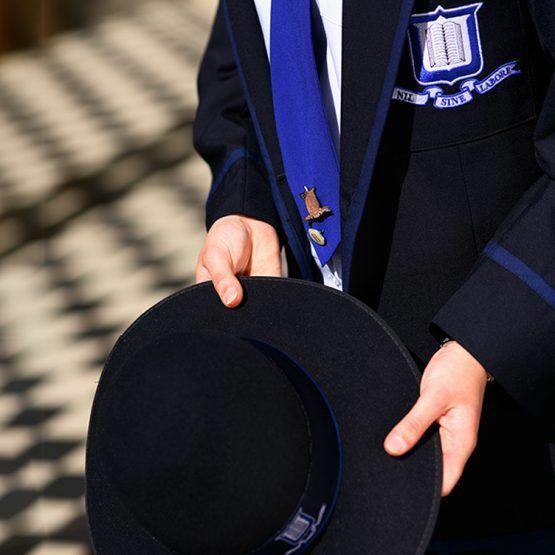 Dr Bruce Addison is Deputy Principal (Academic) at Brisbane Girls Grammar School. Prior to this position, Dr Addison held the role of Dean of Curriculum and Scholarship. An experienced educator, Dr Addison has held leadership positions in boys’, girls’ and co-education schools as well as the tertiary sector; for many years he coordinated and taught postgraduate courses in leadership and curriculum at The University of Queensland. A widely-published scholar, Dr Addison’s work has featured in international peer-reviewed and national editor-reviewed journals. His areas of expertise and interest lie in the fields of leadership and the development of professional practice, particularly in the context of practice deepening and change. Dr Addison is a life member of the Queensland Economics Teachers Association and a Queensland Fellow of the Australian Council of Educational Leaders. Ms Rachel Fraser joined Girls Grammar as Chief Financial Officer and Secretary to the Board in 2017. 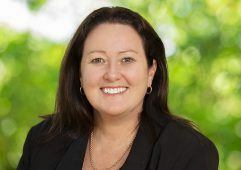 She has more than 25 years’ experience in the finance and corporate services sectors, most recently as General Manager, Corporate Services and Company Secretary at AgForce Queensland. Previous roles include Financial Controller (Qld) at Flight Centre Limited and Finance Manager at Queensland Theatre Company. 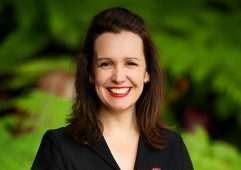 Ms Fraser has also been Director of the Aboriginal Centre for The Performing Arts and Arts Training Queensland. Ms Fraser is responsible for the strong financial performance of the School, in addition to overseeing the School’s Information Technology, and Property and Facilities functions. Mr James Keogh joined Girls Grammar as Dean of Studies and Learning Analytics in 2016, becoming Dean of Studies in early 2019. 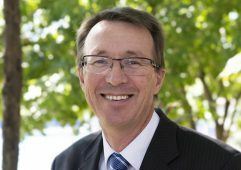 Mr Keogh brings more than 30 years’ teaching and senior management experience across the education sector to Girls Grammar, most recently as Head of Secondary Teaching and Learning at Moreton Bay College. Mr Keogh possesses extensive knowledge about the intricacies and application of guidelines that govern the design and delivery of education in Queensland. Mr Keogh is responsible for the implementation of the School’s academic programs, student credentials and data analytics, including subject selection across all year levels and use of student data to enhance teaching and learning. Ms Tennille Cummings is Dean of Operations at Girls Grammar. 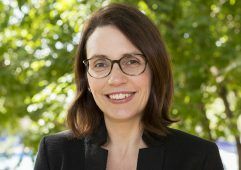 Initially commencing as Dean of Academic Administration in early 2016, Ms Cummings has more than 20 years’ experience in education leadership, combined with teaching roles at schools across New South Wales and the United Kingdom. Prior to joining the School, Ms Cummings was Head of Academic Administration at Wenona School. 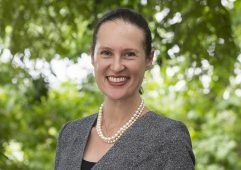 Ms Cummings’ extensive experience supports her role at Girls Grammar, in which she contributes to the strategic planning, leadership and management of the School. Ms Cummings and her team are responsible for the administrative support of all academic programs, timetabling and scheduling of School events and activities. Ms Ellena Papas joined Girls Grammar as Dean of Co-curriculum in early 2017. An experienced educator, Ms Papas was previously Head of Music at Sunshine Coast Grammar School and Director of Music at Moreton Bay College. A professional musician, Ms Papas has performed with some of Australia’s most renowned ensembles, including Queensland Symphony Orchestra and Queensland Pops Orchestra, and as a vocalist with Opera Queensland. Ms Papas also served as the National Judging Coordinator and Australian Selector (Rhythmic) for Gymnastics Australia, judging at Olympics, World Championships and Commonwealth Games. Ms Papas is responsible for the implementation of the School’s extensive Co-curriculum Program, which includes Sport, Music, Drama, Debating, Service, Educational Travel, and Clubs and Activities. Mrs Emma Lowry became Dean of Students in January 2019. Initially commencing at the School as a Japanese Teacher in 2006, Mrs Lowry was appointed Head of Japanese in 2008. She has previously held the positions of Head of England House and Associate Dean (Students). Mrs Lowry is responsible for the coordination and administration of the the School’s comprehensive Student Care Program, which aims to promote the holistic development of each student within a collaborative and integrated learning community. Mrs Lowry leads the Student Care team, which comprises the Associate Dean (Academic Care), nine Heads of House, House Group Teachers, School Psychologists and School Nurses. Mrs Lowry is also the School’s Year 12 Coordinator. Dr Belinda Burns has more than 20 years’ experience in marketing and communications, and has held several senior management positions in consultancy, representing leading corporate brands in Australia and the UK. Dr Burns was a Director at global PR firm, Citigate (London), and General Manager of a Melbourne-based agency directing award-winning federal and state government campaigns for positive social change. Dr Burns has also taught literature and creative writing at The University of Queensland and University of Southern Queensland. She holds a MA and a PhD in Writing, and is a published novelist. Dr Burns has been Director of Communications and Engagement since early 2017. Ms Georgina Anthonisz joined Girls Grammar as Director of Development in 2018. 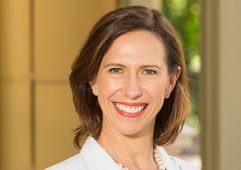 With 20 years’ experience in philanthropy and corporate partnerships, Ms Anthonisz is passionate about the shared impact of education, philanthropy and strong partnerships to create opportunities and support positive societal change. Ms Anthonisz’s career began in the UK at the Orchestra of St John’s Smith Square, before she joined the London Philharmonic Orchestra, one of the world’s most renowned symphony orchestras. Prior to joining Girls Grammar, Ms Anthonisz was Development Director at Queensland Ballet and Brisbane Powerhouse. In her role, Ms Anthonisz is also responsible for overseeing the School’s extensive Alumnae Relations activities. Mr Eduardo Sifontes is Director of Information Technology (IT) at Brisbane Girls Grammar School. 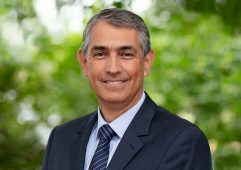 Mr Sifontes has more than 30 years’ experience in IT across a diverse range of industries, including manufacturing, pharmaceuticals distribution, mining, energy and utilities, and government sectors. Recent positions include Director of Organisational Change Management at Zuellig Pharma in the Philippines, Principal Consultant at a management consulting firm and Senior Project Manager at Computer Science corporation. Mr Sifontes’ significant expertise combined with his IT leadership experience supports his role at the School, in which he is responsible for the delivery and oversight of the School’s IT programs and services.